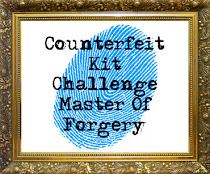 Welcome to the Counterfeit Kit Challenge (CKC) Blog Hop. Each month my fellow Master Forgers and I use a past offering from an on-trend kit club to assemble a fabulous array of supplies using our very own stash. Then we share the inspiration with you to get your creative juices flowing. If you've arrived here directly, you should start over at the CKC blog and then hop on through the list. A copy of the hop list is also available at the bottom of this post. Leave us some love along the way and we will be sure to do the same for you when you post your creations. And each month we feature a guest designer, so if we see you active on our Mr. Linky gallery, we may just ask YOU! A warm welcome to this month's guest designer, Isbaha! So, now onto MY kit for September! Summer has been fun...crazy, non-stop fun. So much fun that at times (really, just now at the end) it didn't seem like much fun anymore. I think that means it is time to re-charge and re-group. The kids will be back to school in a few days (which brings on a whole other set of busy-ness), but I will have a chance to tend to things around the house, and perhaps even get in some scrapping during the day. I am looking forward to that very much. A cut-a-part sheet from the Pier Collection by Crate Paper and some serene and tranquil patterns will be sure to relieve the stress. I didn't want to fret too much when assembling this kit, so I left out solid cardstock. I'll pull those pieces as needed. Ahhhhh...I'm feeling more relaxed already! Let's check out the embellishments over by the candlelight. Some sparkly flourishes and puffy chipboard clouds set the mood. Just behind the glass carafe is a 6x6 paper pad by Crate Paper that is also featured in the inspiration. And what says "peaceful" better than a delicate and lacy butterfly? Washi tape, in a variety of soothing colors and patterns, hangs out on the mosaic soap pump. Hoping to finally use that acetate piece tucked behind those turquoise metallic Thickers. The pattern and frosty feel of the plastic almost has a shower curtain feel. Some very old, but very perfect My Minds Eye flocked chipboard letters will give a softness to my titles, as well as those delicate paper fern leaves. Not as easy to see all the way to the far left, there's a sticker sheet filled with Zen-like words to get your "ommmm" on! You'll notice an Eiffel Tower image in the inspiration kit. While I'm not looking for an adventure this month, I had to throw in the Eiffel Tower images I had in my stash. Dreaming about a day in Paris while soaking in a bubble bath sure sounds relaxing to me...and no stressful airport security checks! And no need to stress about where to go next...you will visit Millisa's inspiring blog here. Millisa http://millermall.blogspot.com/ VISIT MILLISA NEXT! Another win! Your kit reveal is always the highlight of the hop for me and this one was no exception. A. You have a beautiful "spa" of your own there and B. what an awesome kit. The colours are amazing and your presentation is, as always, the best! wonderful job, love the "feel" of your kit! A girl after my own heart, why travel when you are already where you want to be? A home spa kit is a delightful idea. Just add a facial and a pedi and it's the full meal deal. Such a pretty room, really shows off your kit well. Your kit presentation is always so wonderful - I am in awe of your creativity. A gorgeous kit too - love all the teal! I always look forward to your display and this is no exception.What a pretty bathroom! 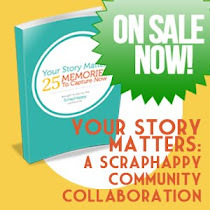 Your kit looks as though it will be fun to create with.Happy scrapping. I love the softness of your kit! Beautiful! This kit looks just like your September should be - serene, peaceful, pampered & cool... I, of course, am speaking mostly of the fact that the kiddos are back to school & you have "me" time again! 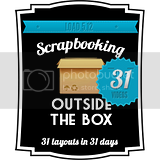 Girl, I hope you have a relaxing & rejuvenating month of scrap happiness with this beautiful kit! Totally inspired presentation, as usual! I especially love the bubbles in the sink! I love how creative you were for revealing your beautiful kit, very inspiring ! How pretty! Appropriately named, too! beautiful kit, and your bathroom is lovely, thank you for showing it to us. CKC Challenge #1 - Let's geocache!